Ronnie Lane (1 April 1946 - 4 June 1997) was an English singer, songwriter and bass player (nicknamed "Plonk") best known for his membership in two prominent English rock bands, Small Faces (1965-69) and Faces (1970-75). He quit Faces in 1973 and formed his own band, Ronnie Lane's Slim Chance, in 1973 to record the hit single "How Come" (UK No. 11) and "The Poacher", then the album Anymore for Anymore, showcasing his own blend of British rock music, folk, and country music. After initial success with the singles, he commenced a tour called "the Passing Show", touring the UK as a carnival, complete with tents, barkers, etc. Viv Stanshall, from the The Bonzo Dog Doo Dah Band, was a short-lived ringmaster (of sorts). Lane moved to Island Records and issued Ronnie Lane's Slim Chance and One For The Road. In late 1976, he joined a short-lived reformation of the Small Faces, but quit after two rehearsals, to be replaced by Rick Wills (who currently plays alongside the former Small Faces drummer, Kenney Jones, in The Jones Gang). However, since Lane had already signed a contract with Atlantic Records as part of the reformed Small Faces, Atlantic informed him that he owed them an album. 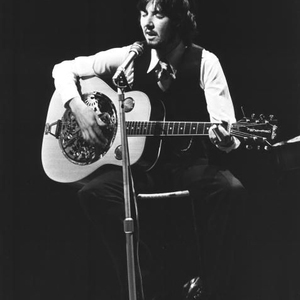 Pete Townshend recorded an album with Lane, titled Rough Mix, which was released in 1977. Rough Mix was lauded as contender for best album of the year by many critics, but the label did not promote it, and sales were thereby lacklustre. Rough Mix not only left Lane out of debt to the label, but it cemented his credentials as an unsung hero. During the recording of Rough Mix, Lane was diagnosed with multiple sclerosis (his mother had also suffered, and died, from the disease). Nonetheless, he toured, wrote, and recorded (with Eric Clapton, among many others) and managed to release yet another album, See Me, which features several songs written by Lane and Clapton. In 1983, his girlfriend, Boo Oldfield, contacted record producer Glyn Johns in the hopes of getting a concert going to help fund Action for Research into Multiple Sclerosis, a London-based organization. Johns was already arranging Clapton's Command Performance for Prince Charles, so they decided to book the Albert Hall for another couple of nights and hold a benefit. The resulting A.R.M.S. Concerts featured Eric Clapton, Jimmy Page, Jeff Beck, Steve Winwood, Bill Wyman, Charlie Watts, Kenney Jones, Andy Fairweather-Low, and more. With the addition of Joe Cocker and Paul Rodgers, they toured the U.S. It was during this time that Rodgers and Page started the band, The Firm. Lane moved to Texas in 1984, where the climate was more beneficial to his health, and continued playing, writing, and recording. He formed an American version of Slim Chance, which was, as always, a loose-knit conglomeration of available musicians. For much of the time, membership included Alejandro Escovedo. For close to a decade, Lane enjoyed his rock royalty status in the Austin area, and even toured Japan. Still, his health continued to decline, and his last performance was in 1992 at a Ron Wood gig. Also in the band that night was Ian McLagan. In 1994, Ronnie and his last wife, Susan, moved to the small town of Trinidad, Colorado. Jimmy Page and Rod Stewart generously continued to donate money for his medical care because there were yet no royalties from Small Faces' work. Through the efforts of Kenney Jones and Ian McLagan, the Small Faces were eventually able to secure ongoing royalty payments. By then, however, Steve Marriott had died in a house fire, and on June 4, 1997, Lane had succumbed to pneumonia. In 2000, Paul Weller recorded "He's the Keeper", a song dedicated to Lane's memory. An album of live BBC recordings was about to be released to raise money for his care when Lane died. An album of live and in-studio recordings from Lane's Austin days was later culled, and released as Live in Austin. The place where he was born, Plaistow (in East London) named a street after him, fittingly called "Ronnie Lane", in 2001. In January, 2006, BBC Four debuted an extensive documentary about Lane, which had been in the works since 2000. They also aired vintage concerts by the Faces and Slim Chance. In October 2006 the documentary was also shown on BBC Two.